#10. 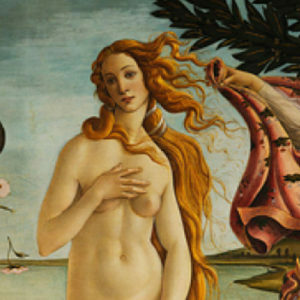 Sandro Botticelli painted The Birth of Venus between 1482 and 1485. 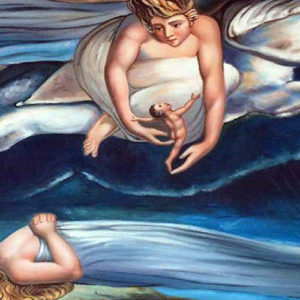 The painting portrays the birth of the goddess Venus and incorporates themes from Ovid’s Metamorphoses. 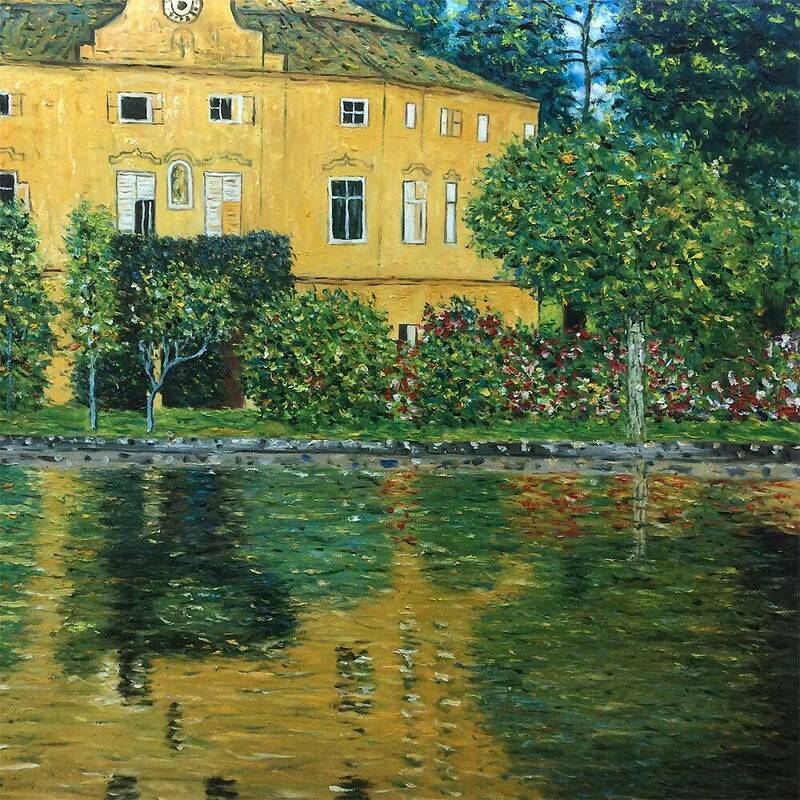 The painting is on display at the Uffizi Gallery in Florence Italy. #9. Water Lilies is a series of 250 oil paintings by French impressionist artist Claude Monet spanning over the years between 1897 and his death in 1926. . This series depicted the flower garden at his home in Giverny, France and used the focal point, water lilies, which were Monet’s favorite flower. #8. 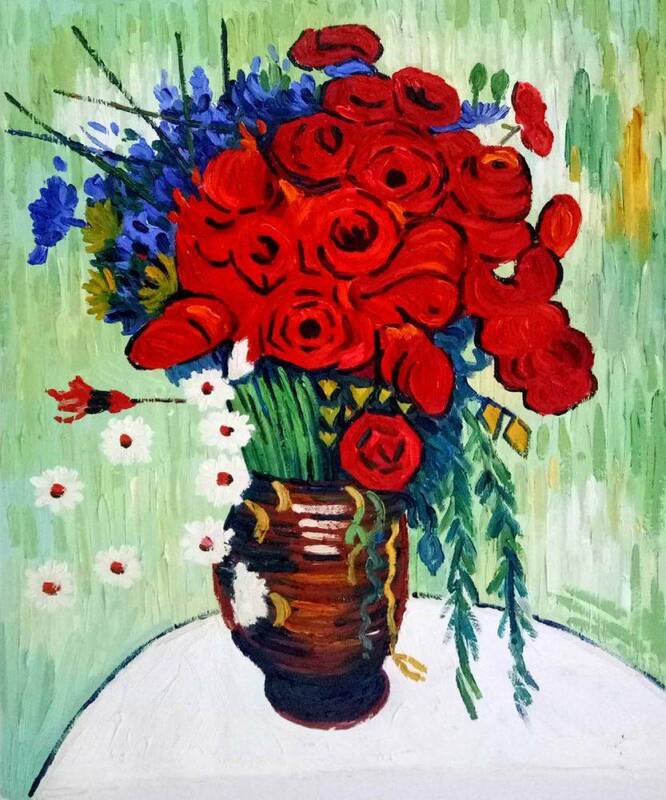 Vincent Van Gogh painted a series of paintings depicting sunflowers in vases. This paint series consists of four paintings all called Sunflowers. Although these paintings have been duplicated many times by various artists, none reach the vivacity and intensity of Van Gogh’s originals. #7. The Scream was painted by Norwegian artist Edvard Munich. There are four versions of this painting created between 1893 and 1910 that depict an agonized figure against a blood red sky. Three of the four versions are in the collections of The National Gallery of Norway. #6. Sometimes referred to as “the Dutch Mona Lisa”, the masterpiece Girl with a Pearl Earring was painted by Johannes Vermeer in 1665. There is very little known about this painting but it is believed that the painting depicted Vermeer’s eldest daughter. It’s unclear whether or not this painting was commissioned or not but it’s most likely what it the 17th century the Dutch referred to as a “head” painting. #5. 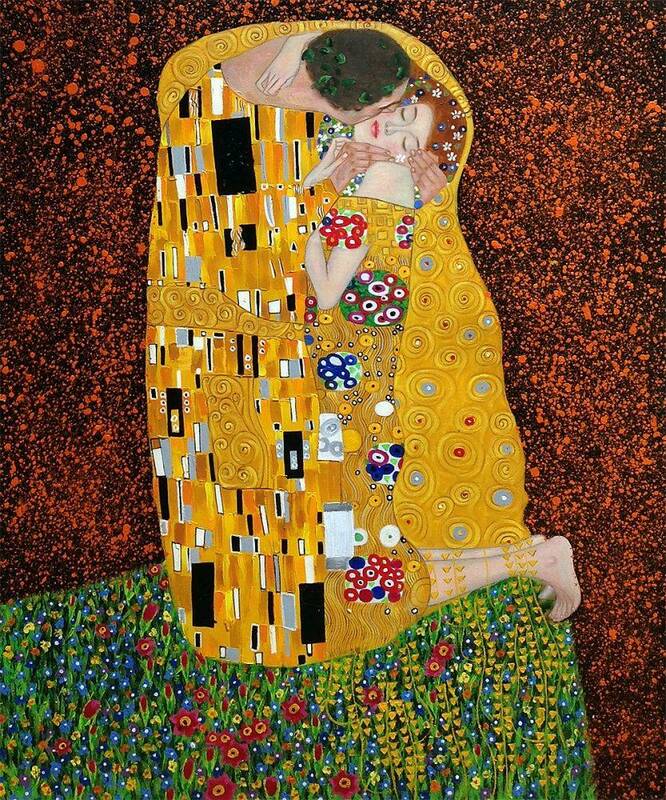 The Kiss was painted by the Austrian Symbolist painter Gustav Klimt between 1907 and 1908. This is a conventional oil painting that depicts a couple embracing. The painting is now in the Österreichische Galerie Belvedere Museum in the Belvedere Palace, Vienna. #4. The Creation of Adam was completed by Michelangelo in 1511 on the ceiling of The Sistine Chapel. The ceiling decoration consists of nine scenes from the Book of Genesis. The Creation of Adam is one of the most famous paintings of all time and has been the subject of countless references and parodies. #3. Leonardo da Vinci’s 15th century mural painting The Last Supper is one of the most renowned paintings of the High Renaissance. The scene represented in this mural is of The Last Supper when Jesus announces that one of his Twelve Apostles would betray him. #2. Starry Night was painted in 1889 by Dutch artist Vincent van Gogh. The painting depicts the village of Saint-Rémy under a swirling sky in a view from the asylum towards the north. Starry Night is one of van Gogh’s most famous paintings and has become one of the most well-known images in modern culture. 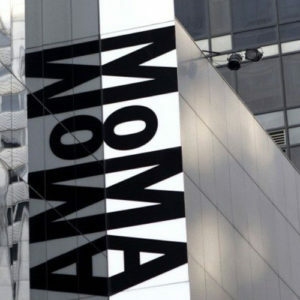 The painting is part of the permanent collection of the Museum of Modern Art in New York. #1. Leonardo da Vinci’s painting The Mona Lisa is one of the most recognized works in the history or art. The painting is named for Lisa del Giocondo, a member of a wealthy family in Florence, Italy. Da Vinci began the painting in 1503 and finished it shortly before his death in 1519. The Mona Lisa hangs in the Louvre in Paris. 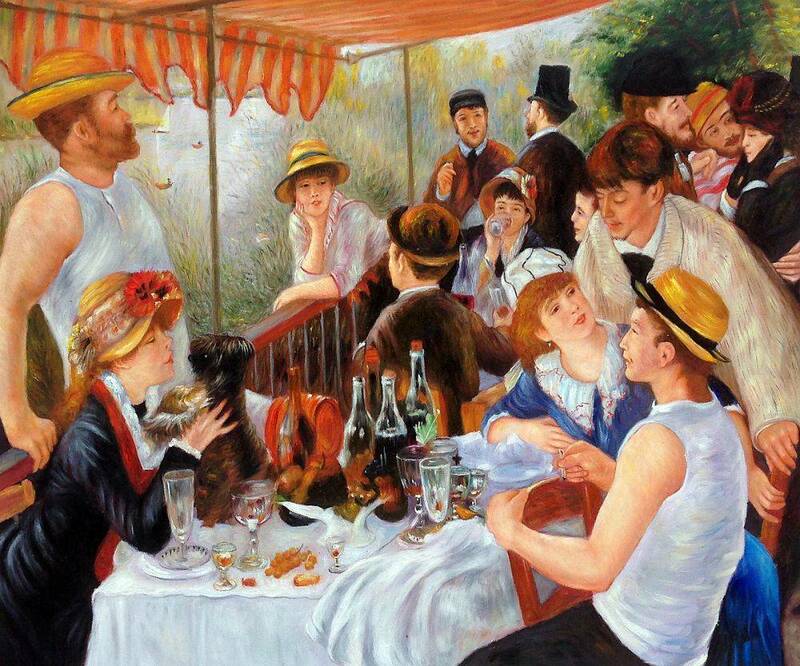 The works of art on this list, have transcended above the canvas or other medium they were made on, and have become an important part of western civilization and are a symbol to our culture and history. It is important that we teach our children about art and share with them these magnificent works as a testament of the amazing capabilities of the human intellect. 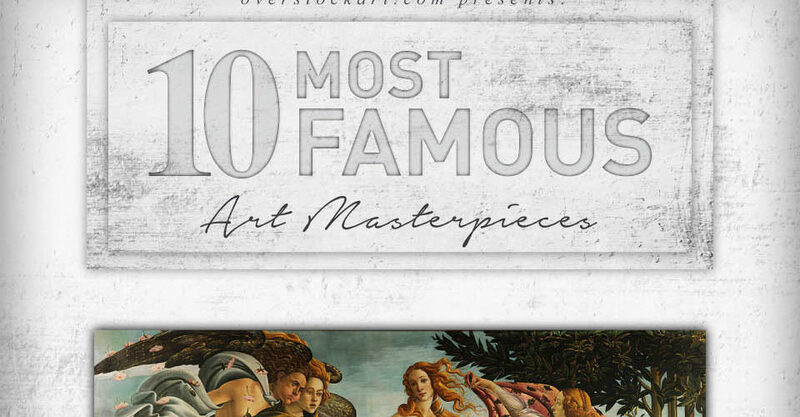 Click here to download the infograph for the Top Ten Most Famous Artwork in History!